colours of leaves remind us that autumn is just around the corner. We hope you've had a wonderful summer and were able to enjoy nature as much as possible. In this issue we have some great photo contributions as well as some trivia, tips and the latest additions to the Inn to tell you about. 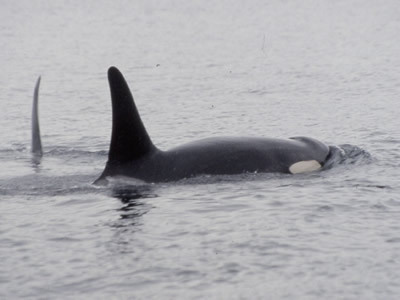 Which living organism can be 30 times to size of a blue whale? The birds in this crossword include large herons, birds of prey and other big birds. Here's a guide to the reptiles that have been chosen to represent the 26 states that have selected official reptiles. We invite you to submit nature photographs to this section. Once again we have some great shots to show you. 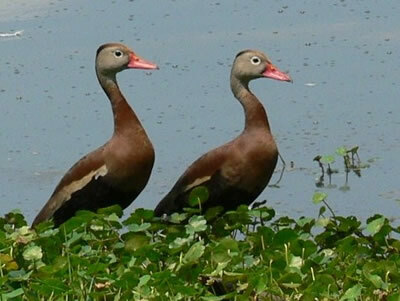 Twisted Trees from Jonathan Schunurr of Suwanee, GA.
Black-bellied Whistling Ducks, another great image from Marilyn Flanagan of FL. 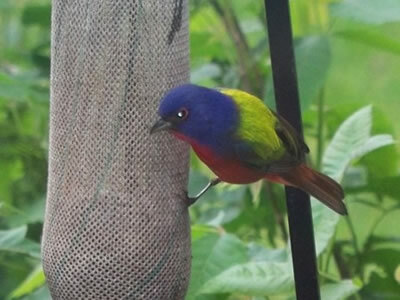 Painted Bunting at a Feeder, by Joyce Cahill, AK. Thank you for your terrific submissions! Bug - Ichneumon Wasp; Wildflower - Pink Fawn Lily; Bird - American White Ibis. This month's selection is called Living Waters and it takes you on a journey along the coast of the Pacific Northwest where you'll explore some of the interesting and diverse marine life. To visit the page, just click here. This month we take a wander along the sea shore. 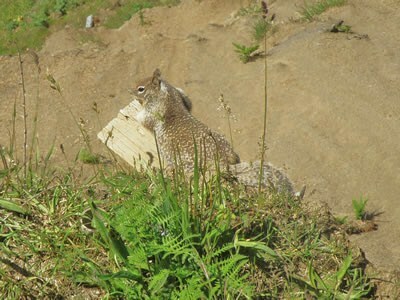 This California Ground Squirrel found itself a really nice viewpoint. The small board it rests on was wedged into a cliff side some 60 feet or more above the sand below. From here it was able to survey everything around. Here's our monthly image ready for your humourous caption along with a couple of our ideas. 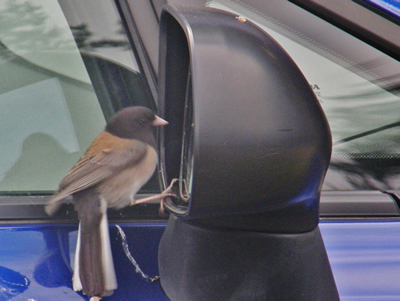 Just what do you think this Dark-eyed Junco is thinking or saying? Number one: "I'm much bigger than I appear on here." Number two: "Wow. Am I ever handsome!" 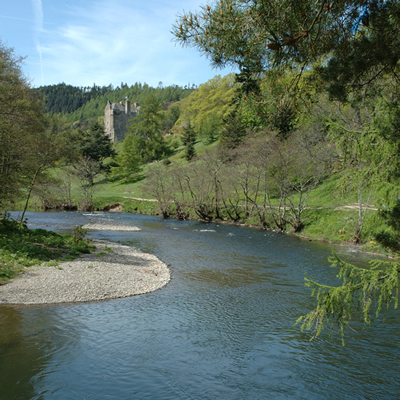 makes its lazy way through the countryside of Moffat, Scotland. 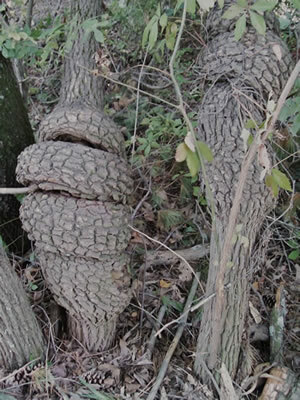 The scientific name for Pine Drops is Pterospora andromedea. The genus name, Pterospora, comes from the Greek words pteron which means wing and sporos which means seed. This is in reference to the shape of the plant's seed. The species name refers to Andromeda, the princess of Greek mythology who was chained to a rock as a sacrifice to a sea monster before being rescued by Perseus. 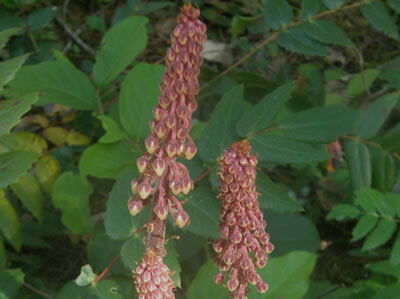 However, it is not clear what any of the story of Andromeda has to do with this plant! A guy went into a bar with his raccoon and said, "I bet $50 that no one here has a musical instrument that my raccoon can't play." Someone fetched an old guitar and the raccoon started playing it. The guy picked up his $50. Next, it was a trumpet. 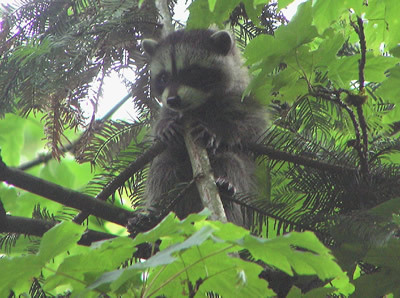 The raccoon licked its lips and started playing wonderful jazz and the guy got another $50. The bar owner went out the back and returned with a set of bagpipes. "Now if your friend can play these, I'll give you $100," he said to the guy. The raccoon took a look at the bagpipes, lifted them and turned them over and over. The guy said, "What are you messing around for? Hurry up and play them!" The raccoon replied, "Play them? I'm still trying to figure out how to get them out of the case." As berries are in full abundance at this time of the year, we want to remind you that it's now time to collect a few for the freezer. Store them in plastic bags for a few months. 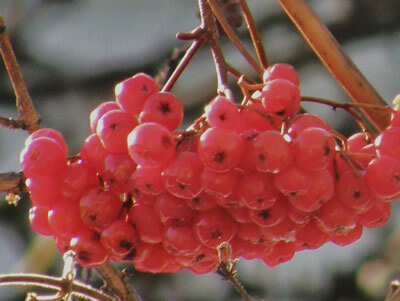 When winter arrives you will have some much-appreciated food for hungry birds at your feeding station. This month we have a little photo composition tip. 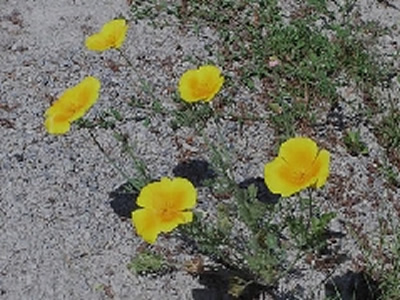 In the eyes of a judge at a competition, the photo above of California Poppies would do better than the one below. This is because the diagonal group suits the eye better. The main reason is that we are used to reading from left to right. 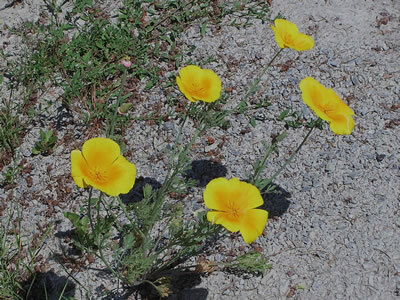 Therefore we tend to view the picture from the bottom left and follow the poppies to the top right. Our eyes then tend to come back to the centre of the picture. Try it! In this image our eyes again see things from the left, but about half-way up the side. 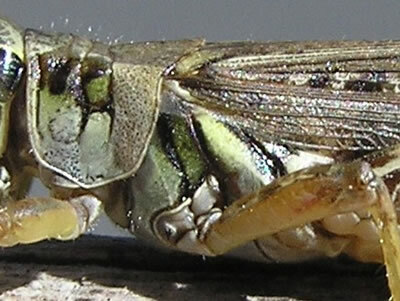 When they reach the centre, they more or less stop. You really don't look at the top poppy. Try this as well and decide which you honestly prefer. 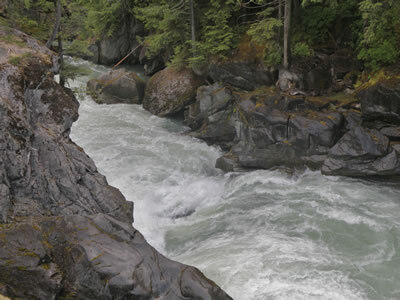 The wild Green River flows through the rocks in Nairn Falls Provincial Park in southwestern British Columbia. A short river of 25 miles/40 km, it flows into the Lillooet River which passes through the Coast Mountains and into the Pacific Ocean. 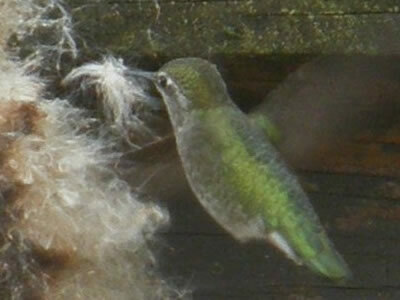 North American hummingbird beats its wings at a rate of over 3000 times a minute? 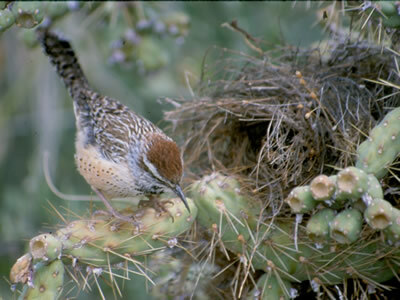 The Cactus Wren is the state bird of Arizona. It has an amazing ability to avoid getting hurt by the spines of cacti and even makes its nest on a cactus plant. To see pictures of other birds chosen to represent the various Canadian provinces and American states, just click here. 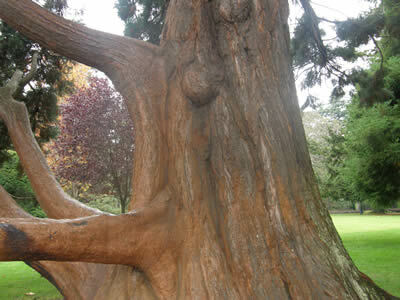 The Giant Sequoia Tree can grow to be many times bigger than a Blue Whale. 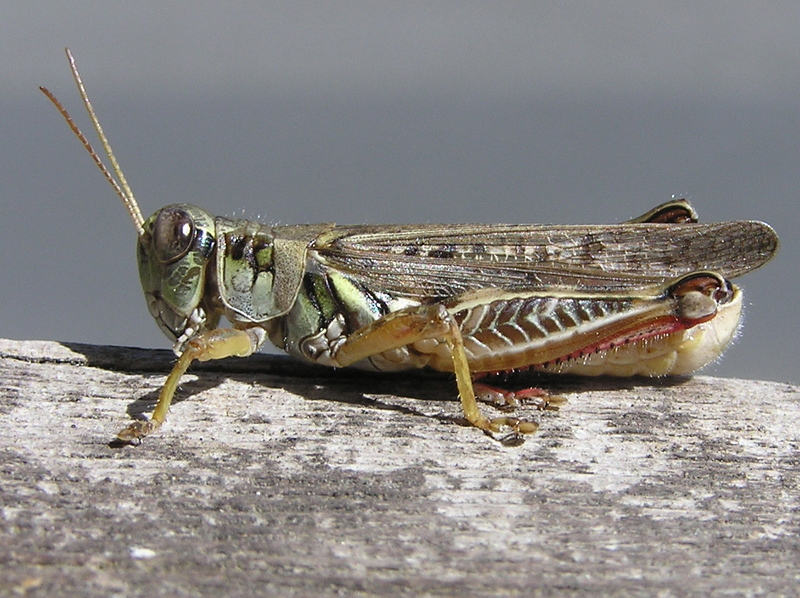 This month's mystery picture is a pretty easy one to guess, but you might have been challenged to identify it correctly as a Migratory Grasshopper, Melanoplus sanguinipes. We hope you've enjoyed this month's newsletter and that you'll forward it on to your nature-loving friends. 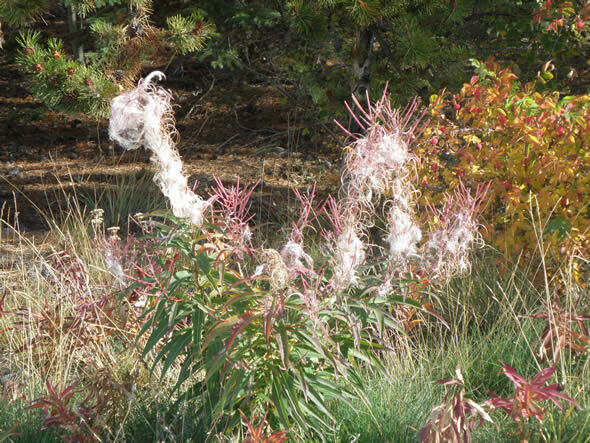 Watch for the next issue of Whispers in your inbox during the first week of October. See you then!